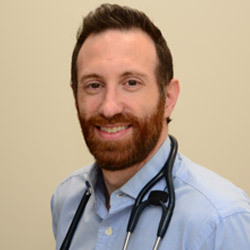 A native of Greenlawn, Dr. Blass graduated from Cornell University’s College of Veterinary Medicine, and then completed a 1-year internship at the Veterinary Hospital of the University of Pennsylvania. Following this, he completed a three-year residency in Cardiology & Interventional Medicine at the Ohio State University. Dr. Blass then practiced cardiology at a private referral hospital in Washington, D.C. before starting his own telecardiology practice in 2014. Dr. Blass has published in a number of leading veterinary journals and has been a reviewer for the Journal of Veterinary Cardiology. In his free time, Dr. Blass enjoys playing soccer, running, and playing guitar.